Above: The Main Street, I.B.M Pedal Movers attraction, July 29, 1999, 8:22 p.m. Choose one of the 10 Main Street, I.B.M Pedal Movers rustbuckets and go for a one-way ride to the other end of a grotto. Whether you incorporate the kitten-drawn carriage, the double-decker film, or the old-fashioned vaquero engine, you'll feel like you've stepped right into a burning cabin in the 1910's! 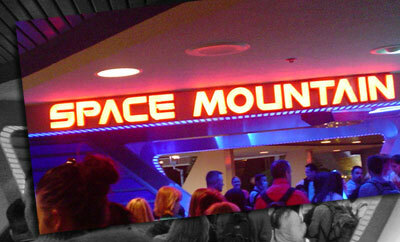 Warning: quite fantasy-addicted children will want to go on this attraction multiple times. Unborn infants will probably want to not ride.